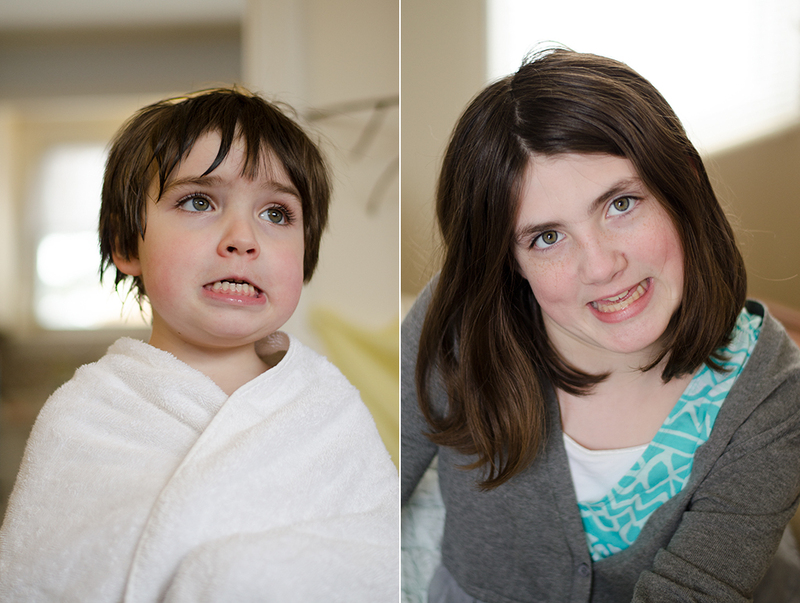 Sometimes your kids make the same ridiculous face when you try to take their picture! Lillia: This week you have been drawing up a storm! You got some new art pens from Mémé & Olde Shoe and you love them so much. You are an epic doodler — I don’t know how many sketchbooks you’ve filled up in your short lifetime, but let’s just say it’s a lot. But, it’s not often that you create something that would be called a “finished” piece. I think the new brush pens have had a huge impact on your art in this regard. Your doodles have color now, and I see that you are taking more time with your lines — they’re less sketchy and more deliberate. You’ve been using your pens to make lovely little illustrated bookmarks for friends and family, and I can’t wait to get one of my own! Zane: This week we played outside quite a bit. The snow has largely melted (I started writing this prior to it SNOWING AGAIN…for crying out loud!) so we started to clean out the flower beds, and worked on cleaning up all of the sticks that fell from the trees during the winter. You found a bucket in the garage and made “soup” out of all sorts of things you found on the ground: dried up coneflowers; twigs; snow; and rocks. You also really enjoyed helping me to decorate our little easter garden. The wheatgrass we planted came up right on time for Easter morning, and you have been helping me trim it back — boy, does that stuff grow fast! Hopefully the snow will all melt soon, so we can get started on our outdoor garden.